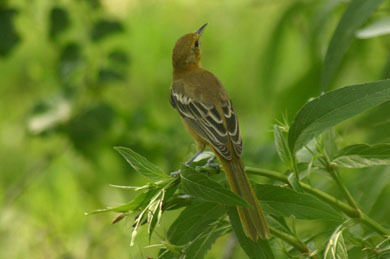 A female Hooded Oriole sits on the branch of a Cape Honeysuckle. 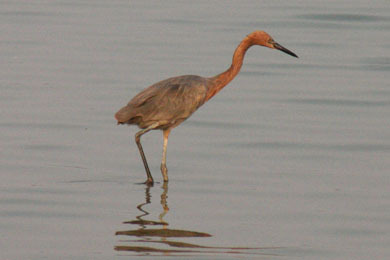 A Reddish Egret stalks dinner. 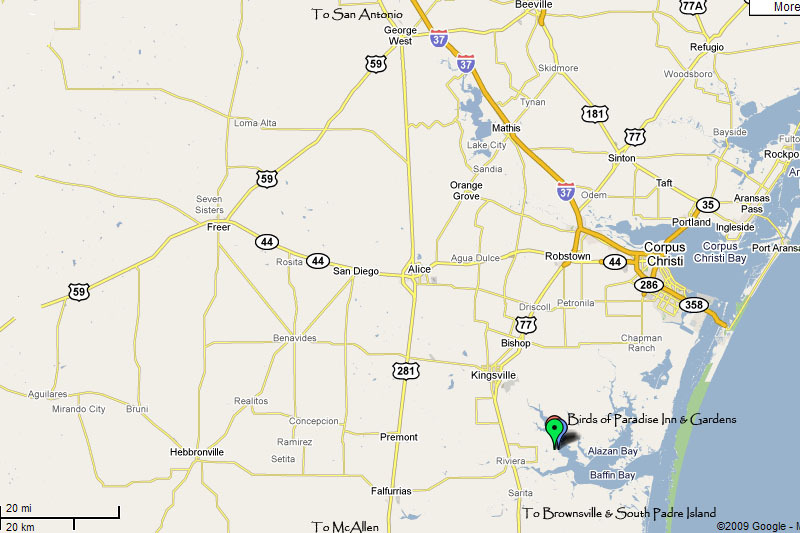 The Birds of Paradise Inn is located 18 miles south-east of Kingsville, Texas. From Kingsville, take US 77 south, about 9 miles, to F.M. 628. Turn left (east) and follow the road for about another 8 miles until you reach a five way intersection. Brown's Convenience Store will be diagonally across the street on your left, take the paved road to the right which is a continuation of F.M. 628. About a mile from Brown's Convenience Store, County Rd 628 will curve to the right. The Birds of Paradise Inn is straight ahead, on the paved road to the left of the curve. 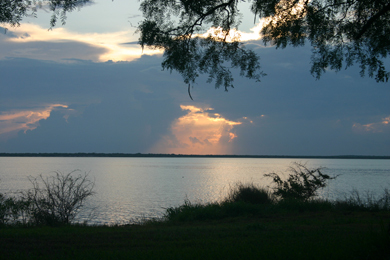 If you are coming from the Texas Rio Grande Valley, head north on US 77. 3 miles north of Riviera, turn right (east) on F.M. 628. Follow the road for about another 8 miles until you reach a five way intersection. Brown's Convenience Store will be diagonally across the street on your left, take the paved road to the right which is a continuation of F.M. 628. About a mile from Brown's Convenience Store, F.M. 628 will curve to the right. The Birds of Paradise Inn is straight ahead, on the paved road, to the left of the curve in the road.